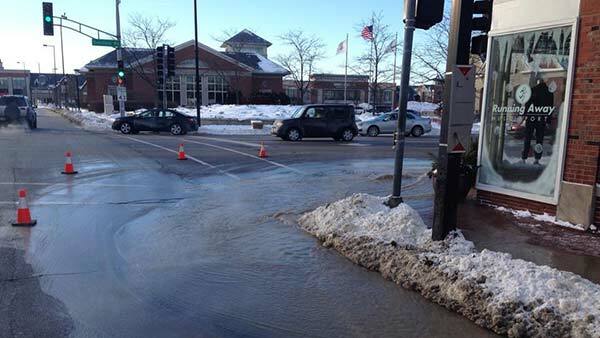 DEERFIELD, Ill. (WLS) -- Several Deerfield-area businesses were without water for several hours Saturday after a severe water main break, officials said. Public works crews worked on the break near Deerfield and Waukegan roads Saturday morning, officials said. Deerfield Road was shut down as crews cleaned up and get ice off the road, but has reopened.